Grab this hott new style for this season and on sale now! With 4 colors to choose from, you’ll be matching outfits in no time! 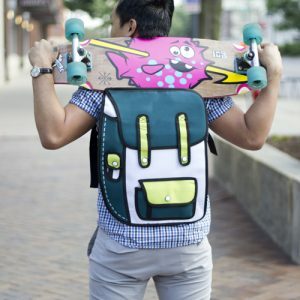 Dive into a classic spin from our 2D Backpack lineup transformed into shoulder bags! This 2D shoulder bag comes in a variety of 4 different colors to choose from. We all like a little spice in our life right? Choose from Rose Red, Coffee, Gray, or even Green! A main storage compartment for tablets, magazines, your keys, makeup, and more! A small rear compartment perfect for storing your phone. Adjustable straps to fit you perfectly for a sling and go style! Innards made of polyester, nylon, and plastic to protect your valuables.